THIRD cycle diamond sales for Anglo American-controlled De Beers totalled $575m, just over $25m more than at the equivalent the group said in an announcement today. “As we move into the second quarter of the year, we saw a continuation of stable demand for our rough diamonds during the third cycle of 2019,” said Bruce Cleaver, De Beers CEO. Sales in the second cycle of the year were $496m. In terms of the first three cycles of the year, revenue was tracking 10% below revenue year-on-year. However, sales had moved back to “a more normalised” position, according to RBC Capital Markets in a note. “We continue to expect that a tightening of recent surplus conditions should help to boost prices in the second half,” the bank said, adding that Anglo American, which owns 85% of De Beers, was it “favoured exposure” owing to higher growth potential than its peer group, better diversification and “more compelling valuation”. 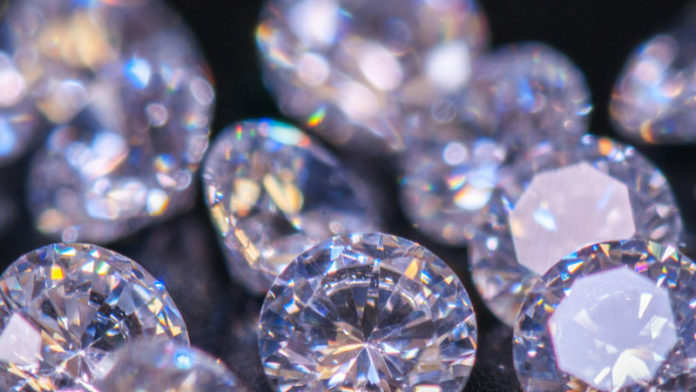 De Beers CEO, Bruce Cleaver, said earlier this year that the diamond market was in a good position despite lower pricing for the smaller carat diamonds. “If you look, for a start, at the growth in diamond jewellery consumption in the US in the last four or five years, you’ll find it actually has gone up year-on-year. So at a consumer level, there has been increased demand in the main market,” Cleaver said. “If you also look at supply over the last three to four years, there has been a reasonable increase of supply over the same period,” he added. “We think that peak [diamond production] is about now, or it may be in a few months’ time. “But it’s not years out”.